Located in Pisa Moorings, Cromwell, and situated on a unique waterfront location the Moorings restaurant, bar and wedding venue along with on-site accommodation at the Heritage Collection Lake Resort provides you with the best venue for your wedding in the Central Otago Region. 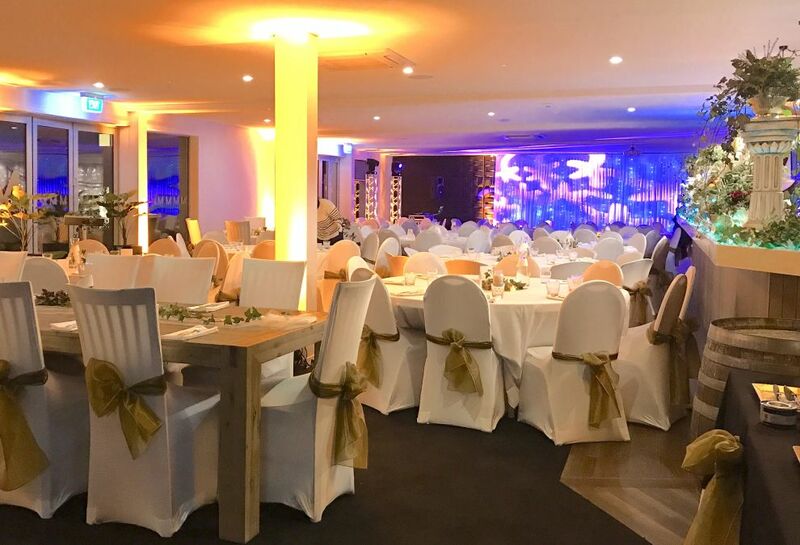 Our large and dynamic venue space can cater for groups and functions of many configurations and sizes, is equipped with a fully functioning bar and commercial kitchen, along with creative and dedicated chefs providing you with numerous delicious catering options to meet your catering requirements. With a spacious landscaped lawn located right at the doors of the reception venue, an outdoor ceremony is a convenient option offering stunning marina and mountain views. The use of this space is included in the Venue Hire however set up costs apply. A short walk from the Heritage Lake Resort sits the stunning Lake Dunstan, accessed by a garden pathway along the marina inlet’s edge as well as bridge. There are an array of lakeside spots which make for stunning ceremony locations, with expansive water and mountain views, set amongst the willow trees. Charges apply. Hold your wedding reception in the Moorings Reception venue, situated on an unique waterfront location. The room is 220 square metres that can hold 120 guest in banquet style.